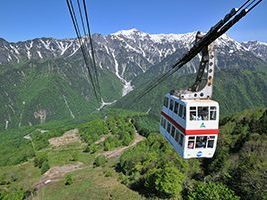 Sightseeing bus which visit three popular tourist attraction of the Northern Alps, Kamikochi , Mt.Norikura and Shinhotaka Ropeway in one day!English speaking guide will accompany and show you the wonderful place of this tour.Tour includes Shinkotaka Ropeway tickets and lunch. 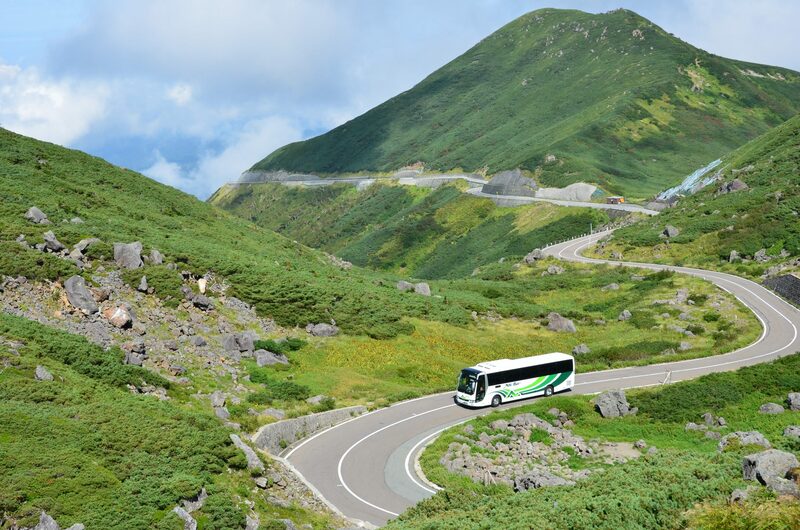 It is very convenient and comfortable bus tour. *The cost is departing/arriving at Takayama. *If you want to get off at Hirayu Onsen or kamikochi or Norikura, 1,000 yen (children 500 yen) discount each fare. *Children of 5 years and under are not charged,(on someone's lap) If you need a seat for your kids, you have to pay children fare. 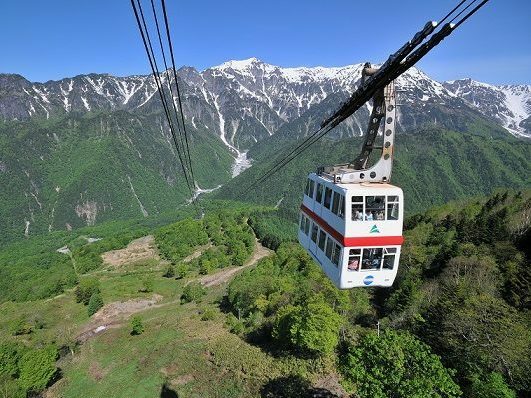 You can enjoy three panoramic view “Kamikochi” , “Shinhotaka Ropeway” and“Mt.Norikura”with English spaking guide. Reservations accepted three month in advance. If there are any seats available on the day, you will join our tour. *Please make a reservation by 5 pm the day before the tour.You may join the tour without a reservation, however English speaking guide will not be available in this case. Please pick up your ticket at Takayama Bus Terminal with your reference number. 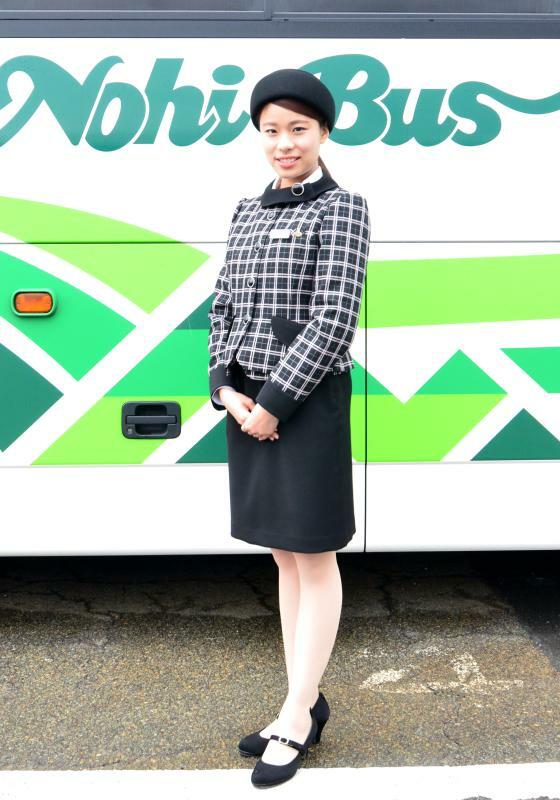 *Please arrive at Takayama Bus Terminal no later than 15 minutes before departure. The bus will leave No.6 gate at Takayama Bus Terminal. Please pick up your ticket at Hirayu Bus Terminal (Ticket office) with your reference number. 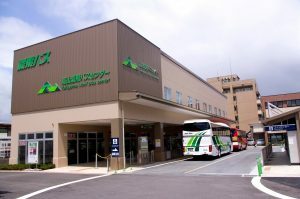 *Please arrive at Hirayu Bus Terminal no later than 15 minutes before departure. First visit place of this tour is Shinhotaka Ropeway. We will use only the No.2 Ropeway. *When Shinhotaka No. 2 Ropeway is closed, we will provide snacks and drinks at No. 1 Ropeway. *Those boarding at Shinhotaka will gather at the No.2 Ropeway ticket counter. A free footbath is located behind the bus terminal on the first floor.How about trying the hot spring while waiting for your bus? Second visit place of this tour in Kamikochi. 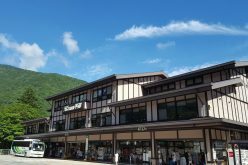 After lunch, we will go to one of the best mountain resorts in Japan,Kamikochi! 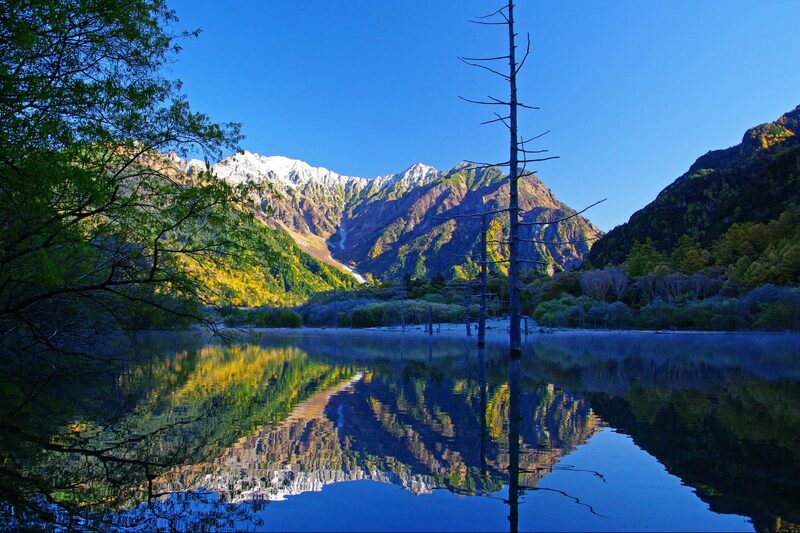 The magbificent Hotaka mountain range,clean and clear Azusa river,fantastic Tisho-ike pond attract people to visit this area.From Kappabashi Bridge, a symnol of Kamikochi.you can view the picturesque landscape of the Hotaka Mountain Range. 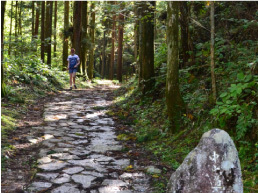 You can enjoy a walk for a full 120 minutes in Kamikochi.You can get off at Taisho-ike if you would like to do so. *You can detach from the group at Kamikochi. 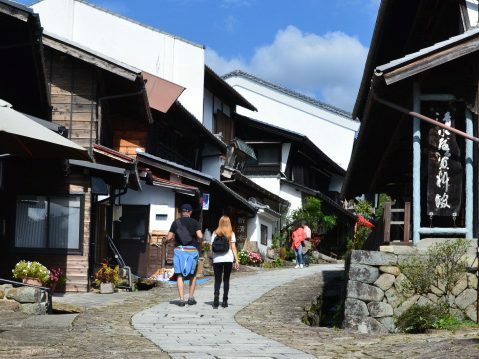 *You can detach from the group at Hirayu Onsen. Third visit place of this tour is Norikura. Tatamidaira has an altitude of 2,705 m.
The surroundings are dotted with 2,700 m to 2,800 m class mountains. You can reach the summits of these mountains in about 20 minutes on foot. 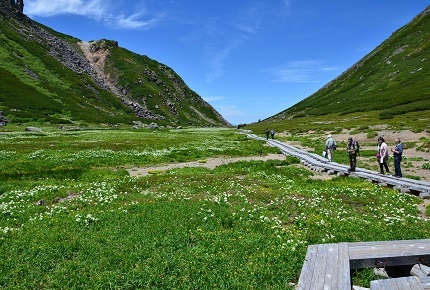 Furthermore, there is a field of alpine flowers directly under Tatamidaira.You can enjoy the pretty flowers of alpine plants in the summer. Thank you for joining our tour! We hope to see you again!! *When Shinhotaka #2 Ropeway is closed, the tour will be cancelled. *If the Norikura Skyline is closed, we will tour the Great Hida Limestone Cave. *You can detach from the group at Kamikochi and Hirayu Onsen. *Lunch menu can not be changed. We may change the lunch to a bento (Japanese box lunch) when there is congestion. *Please be aware we may not able to run on time depending on the traffic situation. *Those boarding at Shinhotaka will gather at the No. 2 Ropeway ticket sales counter. *If you will join Hirayu onsen or Shinhotaka Ropeway, please make a reservation by 5 p.m. of the preceding day. 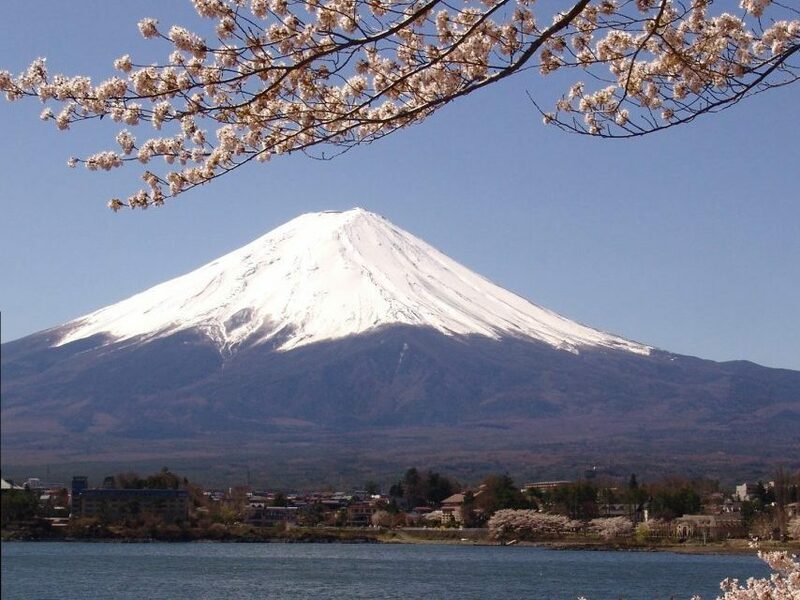 *Those who finish the tour at Kamikochi or Hirayu, Mt.Norikura is not included in the tour schedule. Reservation is accepted three month in advance. If there are any seats available on the day,you will join our tour. Shinhotaka Ropeway is the most popular sightseeing spot in the Okuhida area.You can view the beautiful Northern Alps such as Mt. Nishihotakadake, Mt. Yarigatake and Mt. Kasagadake in a 360-degree panoramic view from the observation deck on the mountaintop at an altitude of 2,156 m. The second ropeway is Japan's only double decker gondola, and you can see the magnificent mountains from inside. Norikura Skyline is the 14.4 km mountain tourist road from Hirayutoge Pass, 1,684 meters high, to Norikura mountaintop Tatamidaira. It was a toll road for 30 years from 1973 but became open to the public at no charge on October 31, 2002 and restricted the private vehicle use in 2003 to eliminate the traffic congestion and to protect the natural environment allowing only buses, taxis and bicycles to pass through. The best time to see alpine plants is from July to early August, and you can enjoy the pretty little flowers, such as Anemone narcissiflora or Dicentra peregrina. 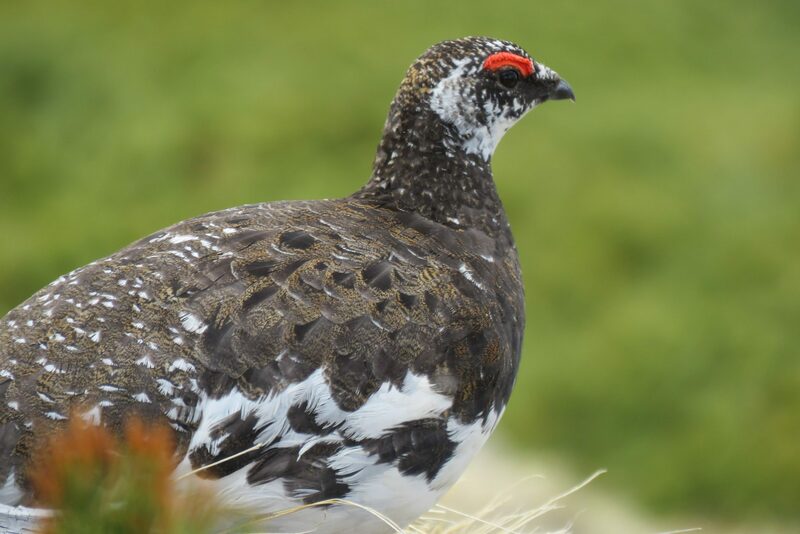 Also, the population of a special national natural treasure, snow grouse, is increasing due to the efforts of recent environmental initiatives. If you are lucky, you may see them. Even if you may find them, you are asked not to catch or threaten them, but watch them discreetly from a distance.